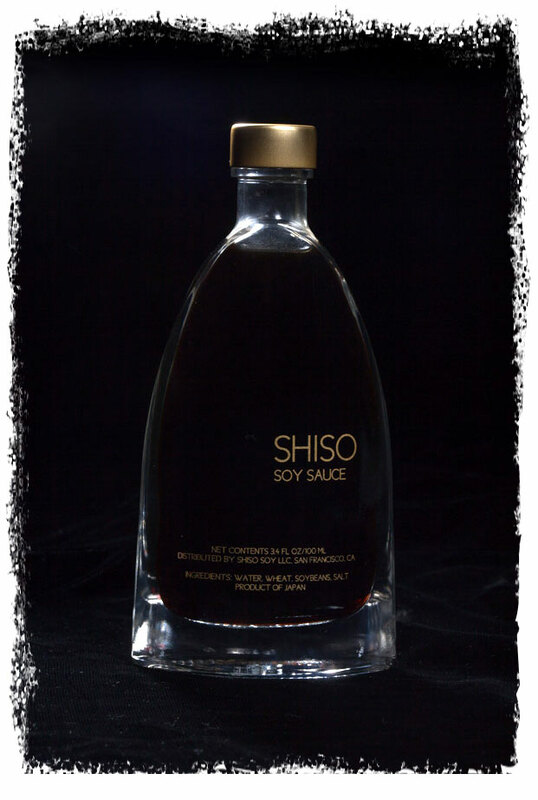 Shiso Soy Sauces are artisanal soy sauces brewed using traditional methods, with no additives, flavorings or artificial ingredients. They are hand crafted from quality ingredients in a brewery in Shimane prefecture on the west coast of Honshu, the main island of Japan. The brewery is more than a century old and has been owned and operated by the same family for six generations. We chose the name “Shiso” for our soy sauces because of its simplicity, and because it’s the name of a Japanese herb of the mint family which is often used in sushi. While our soy sauces are not flavored with shiso or anything else, we thought the name communicates important qualities of our soy sauces. At the most basic level, Japanese soy sauce is made by fermenting four simple ingredients: wheat, soybeans, water and salt. These ingredients are combined with a specific mold (Aspergillus sojae), yeast and lactic acid bacteria in a complex two-stage brewing process that can last for as long as three years. 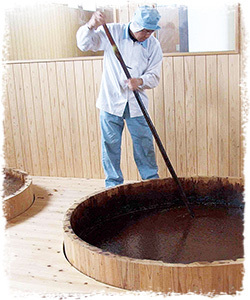 The resulting mash is then pressed and filtered to produce finished soy sauce. Subtle variations in the ratio of ingredients, brewing techniques, time and fermenting microbes can create an enormous variety of flavors and quality. Learn more about how soy sauce is made, the history and types of soy sauce and how to taste and enjoy soy sauce. 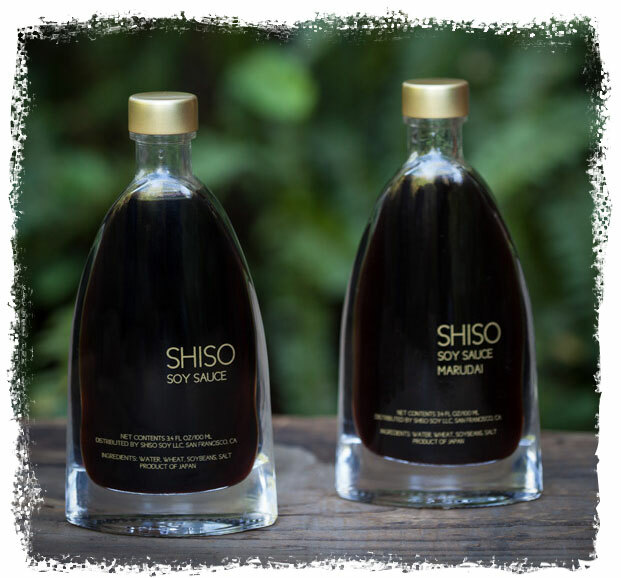 We produce two different styles of Shiso Soy Sauce: the most popular is a traditional style called Koikuchi, and the second is a richer traditional style made from whole soy beans called Marudai. Our traditional Koikuchi soy sauce is composed of water, salt and equal amounts of wheat and soybeans. It is fermented for two years instead of the standard six months used for commercial, mass produced brands. The longer aging imparts a fuller, richer flavor with more complex aromas. The longer fermentation also yields higher levels of glutamic acids, which creates the deep, rich flavor called “umami” which helps to make soy sauce so delicious. Shiso Marudai soy sauce uses the same basic ingredients as traditional Koikuchi Shiso soy sauce, but is made with high quality whole soybeans, which contain more soy oils and change the way the fermentation process progresses. The result is a more intense, deeper flavor and more complex aromas. It tastes better. Shiso soy sauces have a more nuanced, better flavor than commercially produced products. Artisanal soy sauces also have interesting variations in taste, smell and mouth feel. It’s similar to enjoying a great wine from a particular vineyard or beer from a craft brewery rather than a bottle of low-end or mass-produced products such as Two Buck Chuck or Budweiser. A good soy sauce has an immensely complicated flavor profile that includes more than 300 aromatic compounds, along with naturally occurring glutamate (the “umami” flavor), acid, sugars and salt. The quality and balance of these components varies greatly depending on the recipe, microbes, brewing techniques and ingredients. These different flavor profiles make certain soy sauces more appropriate to different types of foods. Commercial products are designed to taste exactly the same every time you taste them, just like a mass produced beer. Shiso Soy Sauce and other artisanal products vary, and come in a range of styles and recipes. This allows you to enjoy the flavors and pair a given soy sauce perfectly with a particular type of sushi or other dish. Enjoying artisanal products also helps to preserve cultural heritage and crafts. Small, family owned breweries in Japan are closing at an alarming rate, much like American family farms, which have been devastated throughout the past few decades by commercialized food production. Once a brewery is closed, centuries of tradition and knowledge are lost, along with the unique combination of microbes and technique used to brew that particular soy sauce. By choosing artisanal products and small breweries, you are supporting a centuries-old tradition that supports bio-diversity, local economies and historical agricultural and food practices. Please keep your Shiso Soy sauce tightly closed and in a refrigerator after opening. The Shiso will not go “bad”, but the quality deteriorates over a period of days, which is why we use small bottles.